Hey folks. First off, Its almost December! It is now officially appropriate to blare Christmas music, make your house smell like clementine's and cloves, and drink obnoxious amounts of peppermint hot chocolate. We've now been living in Northern BC for just over 4 years and I was shocked when I went to pull out our Christmas decorations mid-November to find that it took me literally 2 minutes to decorate our house due to our skimpy collection of decorations. I have also been wanting to take my advent calendar game face to a whole new level for a few years now and never really found the time to do it. ​Sincerely not for the faint of heart. 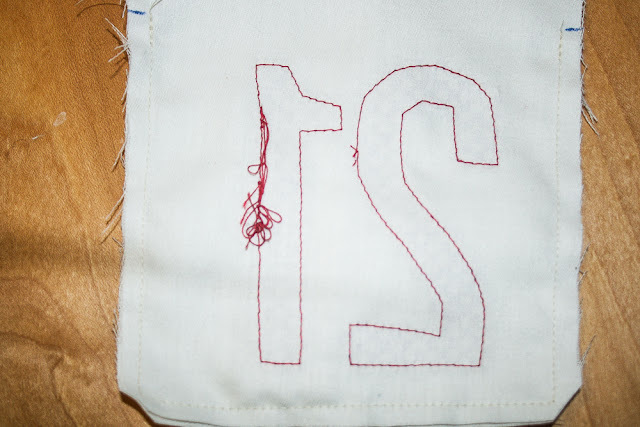 I'll be honest, it was a little time consuming, so if you're a beginner in the sewing department maybe set aside a weekend to bang this out, but it was also so much fun. - Sewing machine (not pictured). 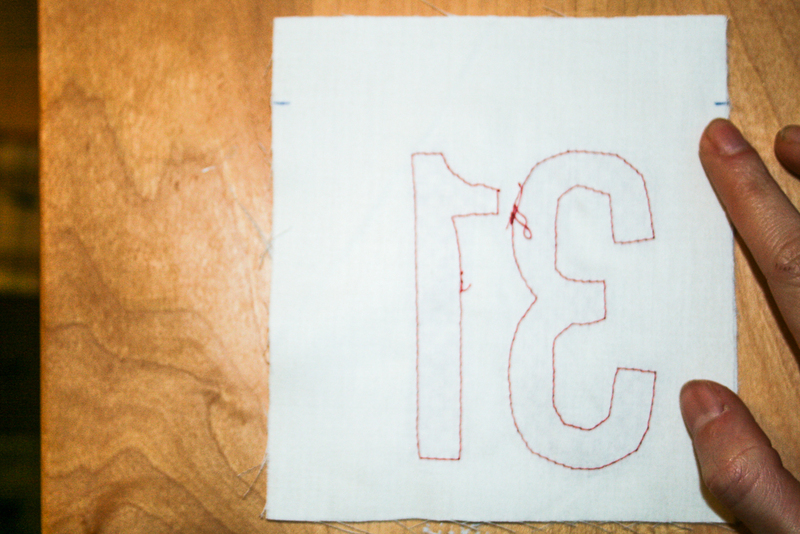 - Thread matching fabric colours (not pictured). Step 1: Press white cotton fabric and square it up. Then cut the fabric into long strips 5 inches wide. 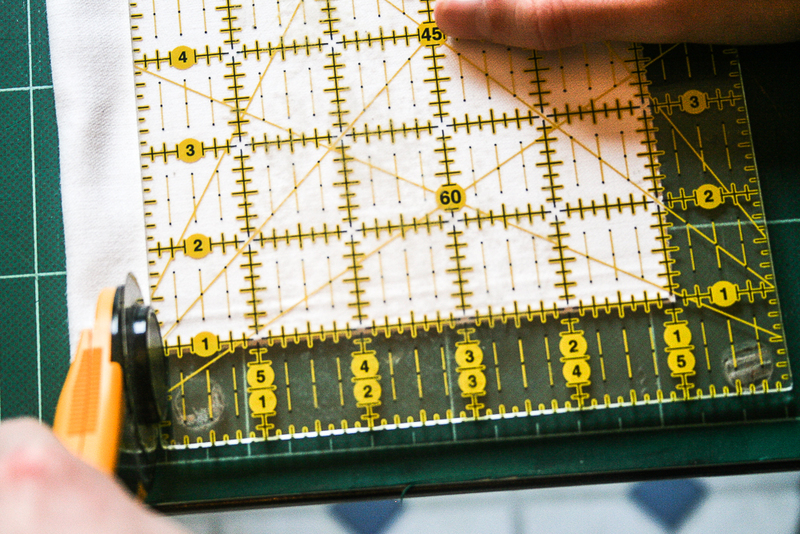 Step 2: measure 5 1/2 inches across the length of the strip and cut (the extra 1/2 inch is to account for the sleeve that your yarn/ribbon/jute will go through to make a drawstring). You will need twice as many white cotton squares as the number of days in your advent calendar (i.e. 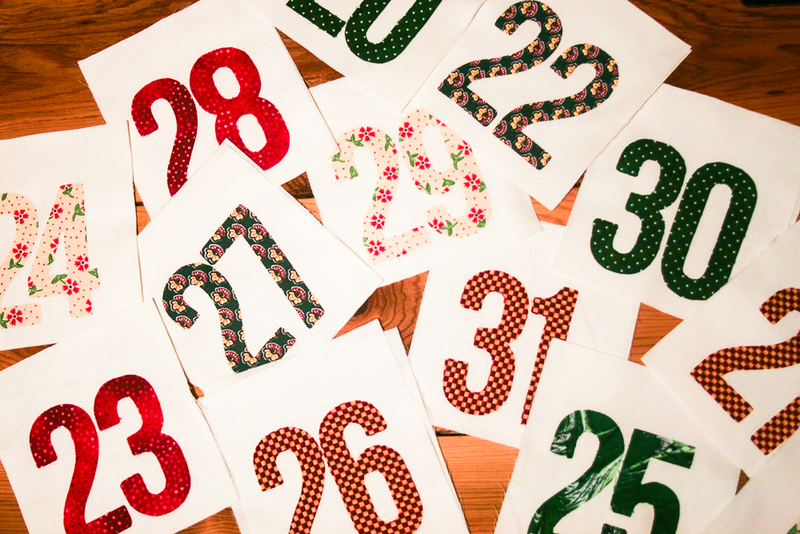 for 25 days, cut 50 white cotton squares). *Note: Fusible web has two distinctly different sides to it. 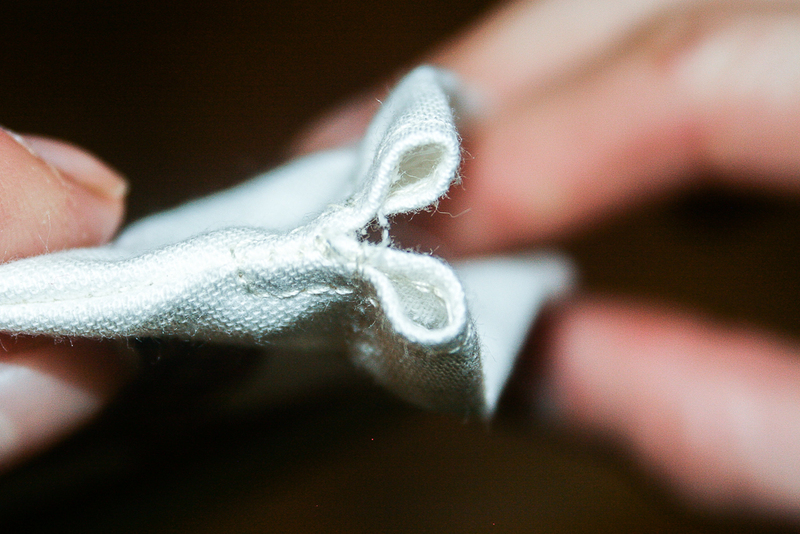 A papered side and a webbed feeling side. 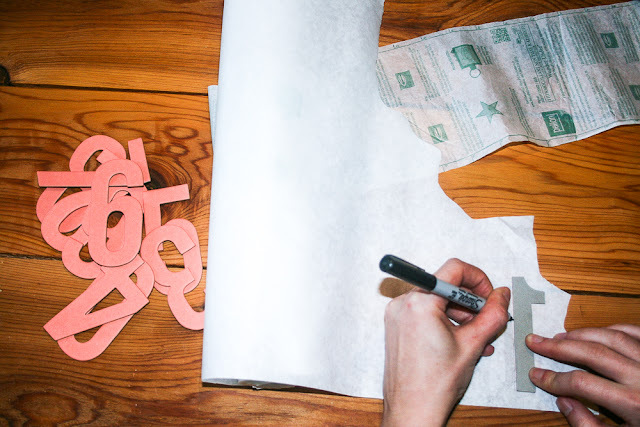 Step 3: Trace your numbers with a fine tip pen/sharpie on the papered side, but be sure to trace them backwards (this will make sense later). 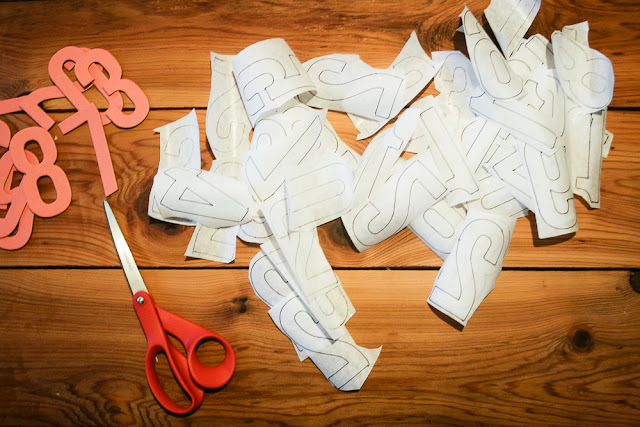 Step 4: Roughly cut out each number. 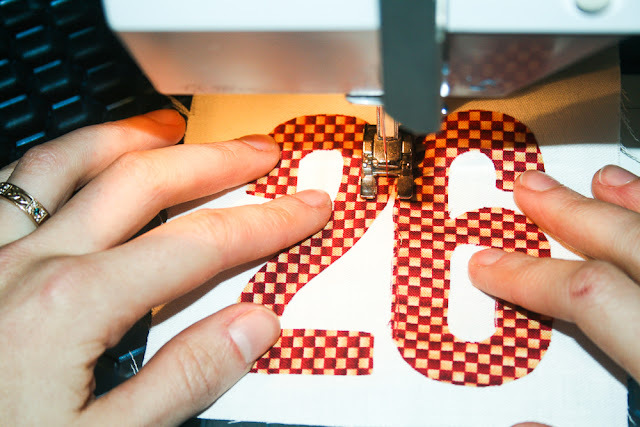 *You will want the extra space around your numbers when you eventually go to cut them out properly and it'll be easier to iron them down this way. Step 5: Place your backwards numbers onto the wrong side of your fabric with the webbed side facing down. 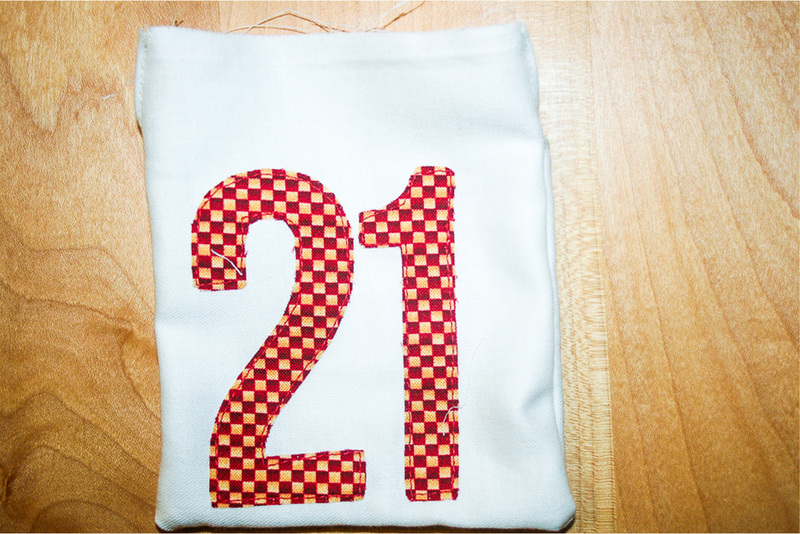 Then iron the number down onto the fabric. Step 6: Once all your backwards numbers are ironed onto the fabric they should stick well enough to cut the numbers out more accurately. 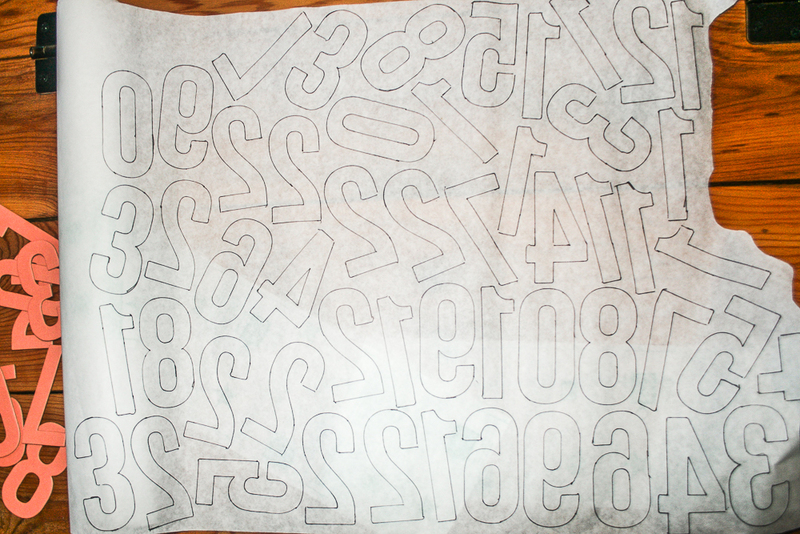 One side should have the fusible web paper on it and the other side should look like this. 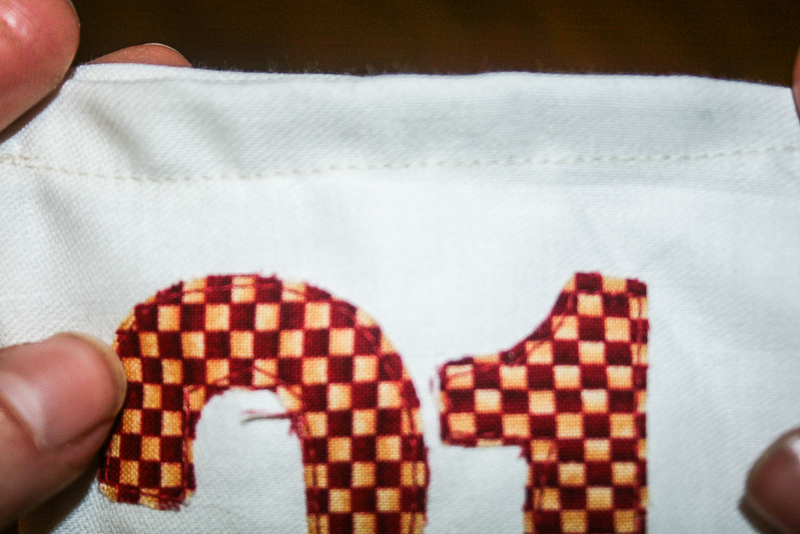 Step 7: Peel the fusible web off of the back of your numbers. 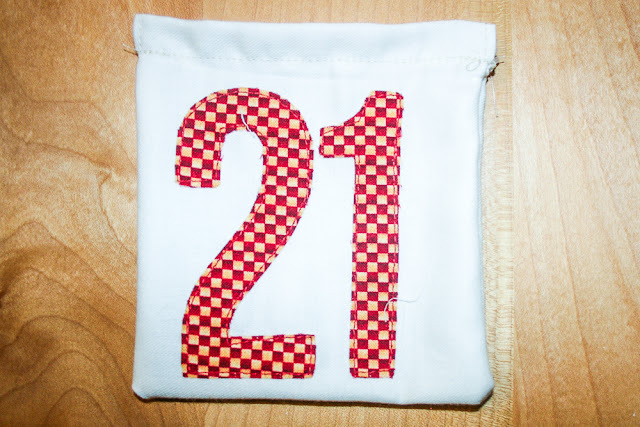 The shiny webbing from the fusible web should be on the back of your fabric number. 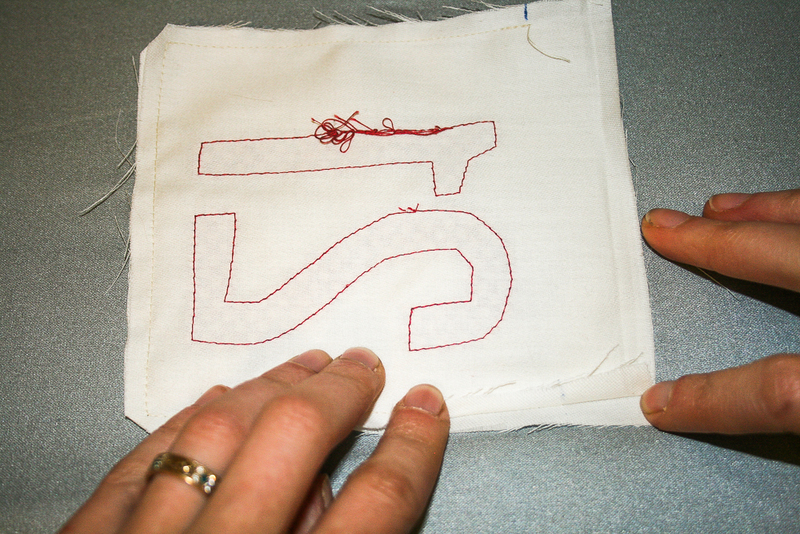 Then position the number with the webbing side down on the white cotton square and iron it down. 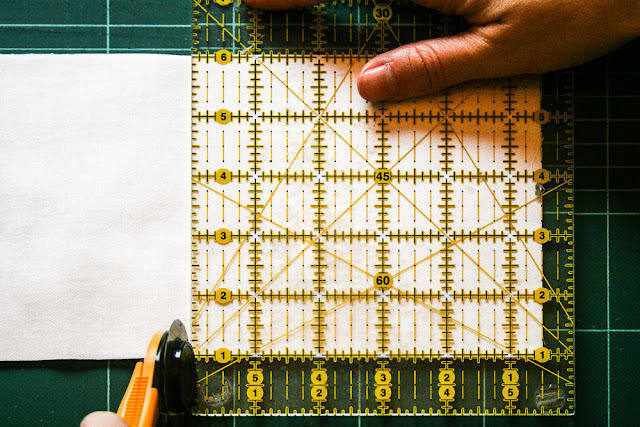 The point of the fusible web is to more or less create a temporary hold between two pieces of fabric so that when you go to sew it down the numbers don't move or bunch up against the white fabric.....thus I can't live without it. Step 8: Taking the single squares of white fabric with your numbers on them, you want to pick matching/contrasting thread for your machine. With an open foot on your machine, use whatever stitch you like to sew around your numbers. I just used a straight stitch (which is abnormal for me) in order to save time. 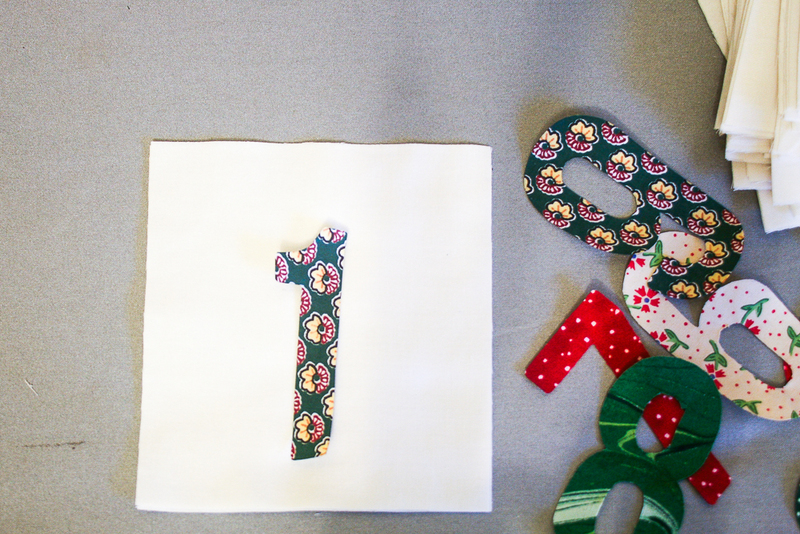 Step 9: Take a blank square of white fabric and place it together with a numbered square with the number facing in. Mark with a Frixion pen 1 inch from the top of the square on each side. Then sew a 1/4 inch seam allowance around the sides and bottom edge of your square stopping on both sides at your 1 inch mark. 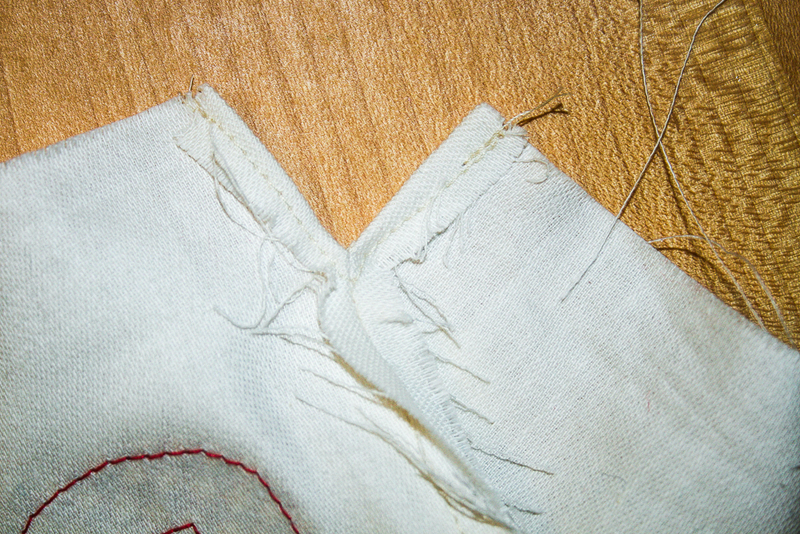 Cut the edges of the bottom corners off without cutting through the stitching around the corners. 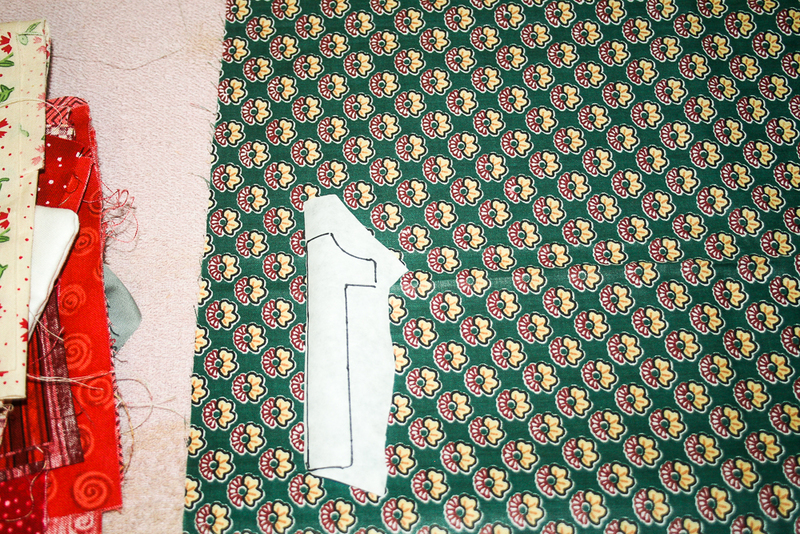 Step 10: Where you made your 1 inch mark earlier, press the seam open and sew the top 1 inch open down on all 4 sides. *This part was a little tricky and you can skip it if you like by simply moving to the next step, but it was slight more helpful when feeding the drawstring through the sleeve of each pouch. * I totally made some without this step. Step 11: Turn your now small pouch inside out to reveal the number on the outside of the cotton pouch. Use the blunt end of a pencil if you'd like to push the bottom corners into more defined points. 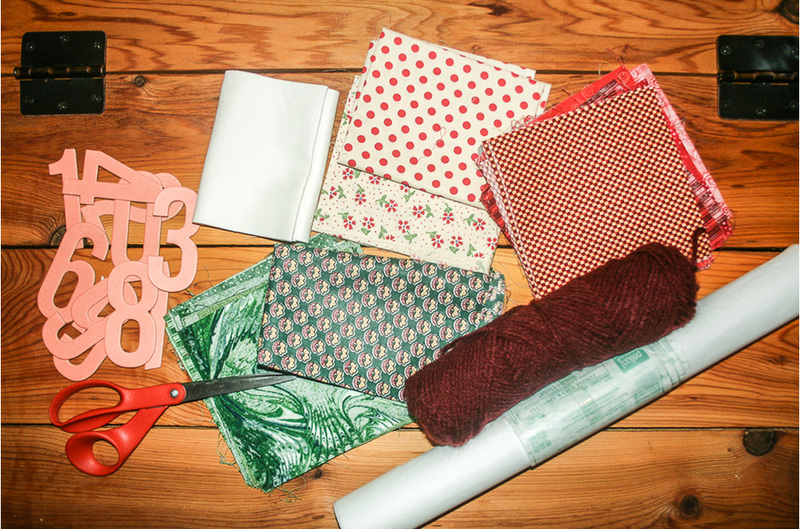 One at a time, fold down the top 1 inch of fabric on the back and front of your pouch and sew it down. 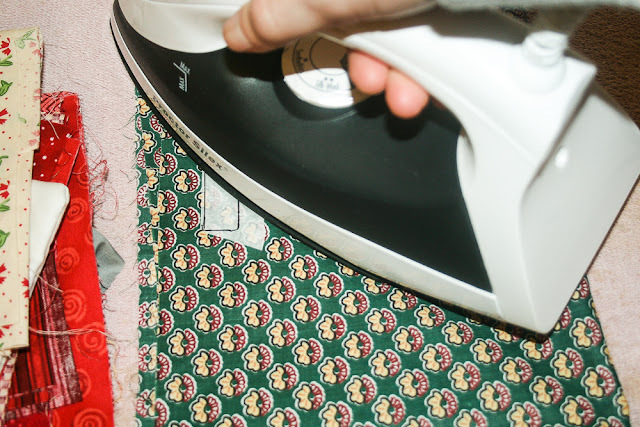 *It's helpful to iron these folds first. 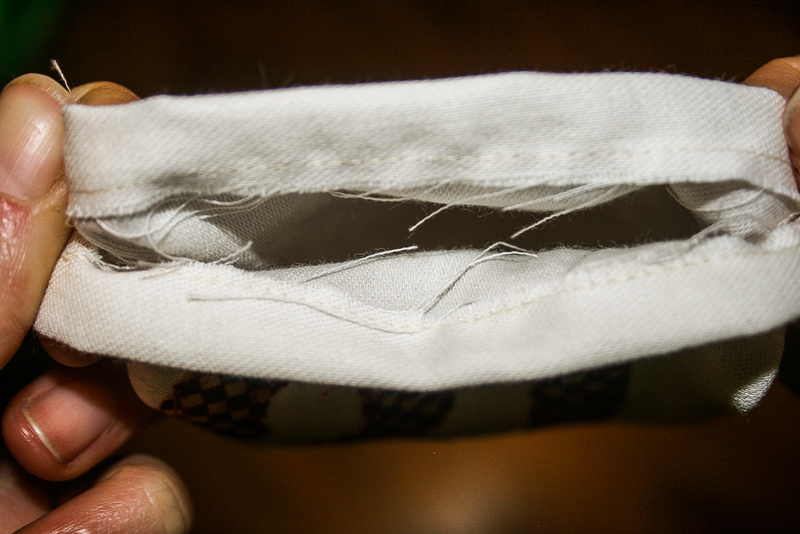 Here's what the front and insides of the two folded seams should like when you finished this step. 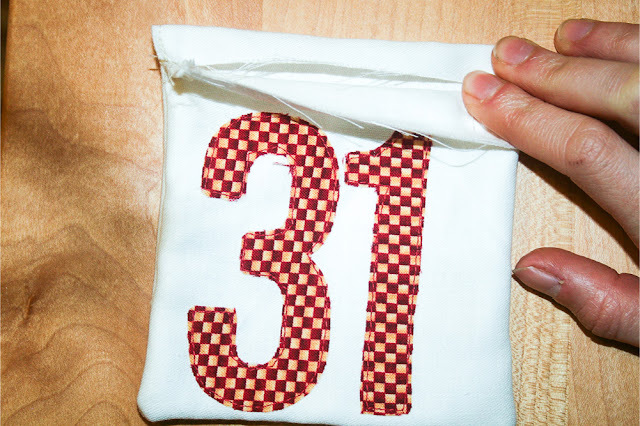 You should also have two pencil-sized sleeves along the top front and top back of your pouch for the drawstring that you will pull through it. This is what your drawstring pouch should look like once finished. 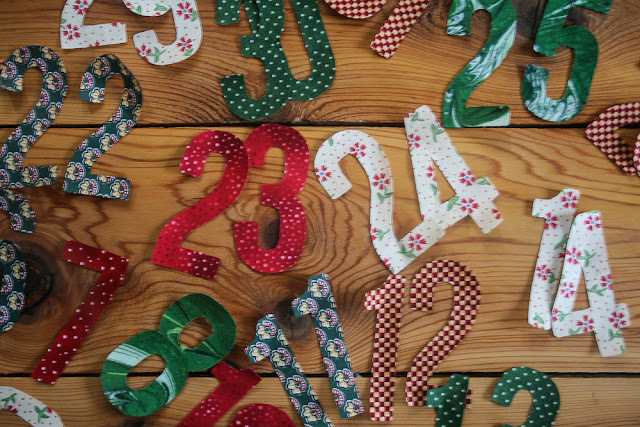 Now just repeat this 24-30 more times depending on the number of days you want your advent calendar for. Finish it off with some red cotton yarn, ribbon, or jute fed through the sleeves on the top of your pouch and fill with little goodies. 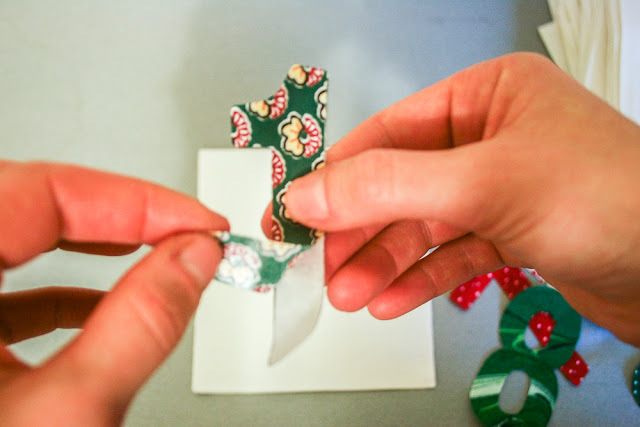 I used some chocolates, candy canes, and wrote a couple of suggestions for Christmas activities throughout the month. 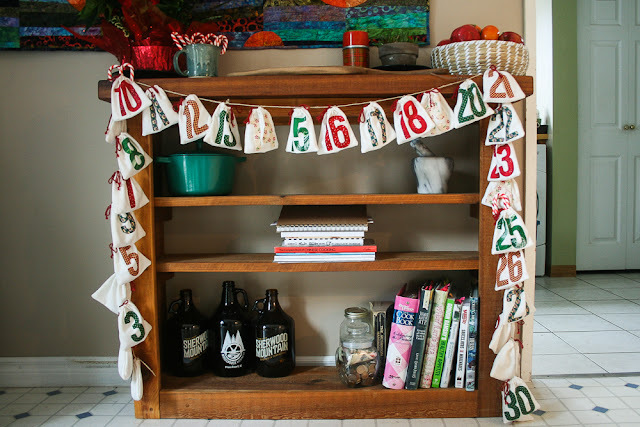 I also used jute and tied all the pouches together to hang it upright from the ceiling or like garland in order to have it double as a christmas decoration! 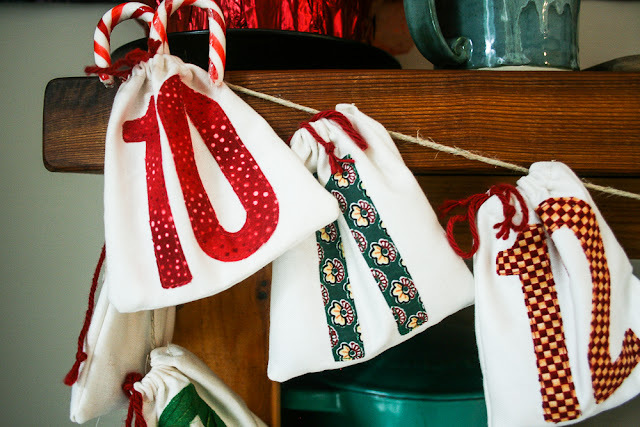 This can be done with kids or as a couples Christmas activity.....strategically place 12 days of Christmas dates throughout it, have one satchel contain a special ingredient to make Christmas cookies....I could really go on and on. Merry Christmas everyone.